The Washington Post Co. announced Wednesday that it has retained Allen & Company to explore the possible sale of NEWSWEEK magazine. 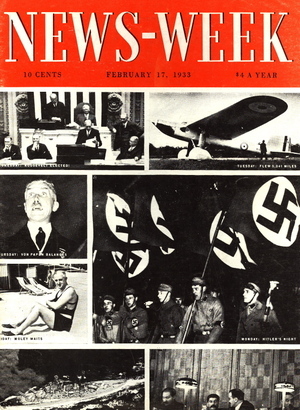 The newsweekly, which has struggled in recent years, was launched in 1933 and purchased by The Washington Post Co. in 1961. In a later meeting, NEWSWEEK Editor Jon Meacham told the editorial staff that he continues to believe in the mission of the company. Meacham said he would do everything he could to ensure the continuation of the magazine, including personally pitching potential buyers. He also reminded the staff that NEWSWEEK wasn’t closed today, but was put on the market. The writing was on the wall a few weeks back when news broke that Newsweek would be moving its staff, from its brand-new and cushy Tribeca offices, to its more mundane confines in Midtown Manhattan. These would be the offices that they JUST MOVED INTO last June, and the fact that Kaplan would be taking over…well, it just reinforced what everyone already knew. Kaplan is another subsidiary of the Washington Post company, that has become a cash cow best known for its higher education programs, professional training courses and test preparation products. So it would make sense for them to have the coolest offices. But while moving was admittedly a pain, sources within the magazine spun this as a smart move, not just because it solved a serious space problem for Kaplan, but also saved Newsweek significant money each year. Cynics might see this as a “cheap” and effective way to quickly improve the bottom line, ostensibly to impress prospective buyers. And what of prospective buyers? Who would want to buy a weekly title that lost a bunch of money last year? Well the truth is that the financial picture of Newsweek is much healthier than one might think. Last year was a big financial loss, which made a number of headlines. But as we said then, it wasn’t nearly as bad as it was reported. It is true that Newsweek lost roughly $28 million in the last year. But to fully appreciate that number, one need remember that roughly two-thirds of that amount came in the the first quarter of last year, and included a write-down of over $6MM in severance packages. Further, Q2 of ‘09 saw roughly $5MM in losses, and Q3 roughly $4MM. Q4? Newsweek actually turned a small yet significant profit of $400k in Q4 of 2009. Sources close to the title tell us that the first quarter of 2010 was also encouraging – ad sales efforts met their budget and print ad numbers for the months of March and April, perhaps owing as much to the end of the ad recession as anything else. The bottom line is that Newsweek is seeing ad revenues return to pre-recession levels, and combined with a rather dramatic reduction in losses, the weekly news title is moving very close to hitting their break even target for 2011. And I’m actually sort of surprised Graham took such a dour line. I would have just said that in a digital paradigm it doesn’t make sense for one company to own both a daily news product and a weekly news product. In an “ink on paper” world, there’s a big difference between a good Newsweek story and a good Washington Post story but in a “pixles on the internet” paradigm there isn’t. If the Washington Post Company is going to operate two different web products they would have to be differentiated along a different axis—one could be a local news site about the DC metropolitan area and one could be a site about about politics and national affairs. But the Post/Newsweek alignment didn’t make sense. The two print publications were supplements while the two websites are competitors. In today’s meeting, at which the announcement was made that Newsweek was being put up for sale by the Washington Post Company, the magazine’s editor Jon Meacham said that he will be lining up financiers and trying to make a bid to buy the magazine himself. He has already had inquiries from some very well-off types this morning. Tonight’s “Daily Show” appearance—he’s been booked for ages—should be really something! Meacham is currently talking to reporters and juggling calls, so expect more soonish. Newsweek is up for sale, and editor Jon Meacham is going to explore the possibility of rounding up some bidders to buy the magazine himself. He said he had two voicemails from “two billionaires” after the news was announced this morning that The Washington Post Company was going to try to sell the magazine. He said he had not called them back. Mr. Meacham won a Pulitzer Prize last year and he has a new TV show that will debut on May 7 on PBS. In other words, he has plenty of options he can explore. But for now, he said he’s dedicated to figuring out how to save Newsweek. I have another idea: Why can’t the Washington Post Co. combine Newsweek and Slate, another of its well regarded media holdings, into one all-online operation? The move would accomplish one big priority: saving money. Newsweek would go forward with a smaller staff and still preserve some of the jobs of staffers currently at the magazine. The news that the Post Co. may unload the money-losing Newsweek should hardly come as a shock. All over the industry, big names, new and old, have been vanishing, such as Gourmet and Portfolio. BusinessWeek received a stay of execution when Bloomberg stepped in at the 11th hour and acquired the publication from McGraw-Hill. Traditionalists have bemoaned the changes that Bloomberg has put in place. They seem to forget that without Bloomberg’s involvement, BusinessWeek would probably have disappeared by now. The Washington Post Co. is looking to sell Newsweek, its vaunted but money-losing magazine jewel. Media analysts are in a frenzy, and many are envisioning a future in which Newsweek has no paper edition. Some are wondering whether the magazine should merge with Slate, an all-online magazine also owned by the Post. Others like Gabriel Sherman are worried about branding: will the company struggle to find buyers considering the words “news” and “week” don’t really work on the Web? The sale and possible electronificiation of Newsweek just a year after its redesign is one of those stories that epitomizes the challenges of the media landscape. Newsweek is still one of America’s two most famous newsmags, the other being Time. Its rebranding effort last year tried to merge the soul of a weekly news digest with … well, something else. 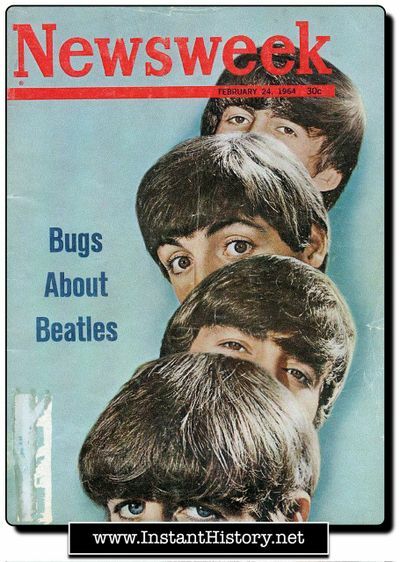 The first few issues looked as though a design team had been instructed to empty their brains onto all 50 of its thin pages. Large pictures peeked out of unexpected corners of the magazine, faint blocks of color invaded the feature section, and the back of the book looked more like a collage of design ideas than a unified theory of magazine layout. 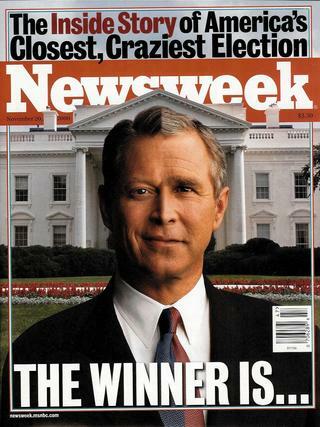 Newsweek grew up learning how to tell people what happened. Today, everybody knows what happened. So Newsweek’s reinvention needs another reinvention. I wish them the best of luck.